It’s no secret that today’s teenagers are busier than ever. They often juggle rigorous academic schedules with both in-school and out-of-school extra curricular activities. Predictably, one of the most popular extracurriculars among high school students is sports. The National Federation of State High School Associations reported that the 2017-2018 school year marked the 29th year in a row that overall participation in high school sports increased nationwide. While the cause of this consistent upward trend could be debated, there are numerous reasons for high school students to get involved with their school district’s athletics – and it’s not simply for the fun. The health benefits of participating in a sport are undeniable, it’s a great way to make friends, and, as most high school juniors and seniors have probably heard a thousand times, it looks great on a college resume. But one factor, that perhaps gets somewhat overlooked, is the positive correlation between GPA and participation in high school athletics. A quick Google search reveals a multitude of scholarly articles and research around the topic. They overwhelming report the same thing – high school students who are involved in athletics at their schools consistently achieve higher GPAs than their counterparts. To Pickerington Local School District this hardly comes as a surprise. Central and North both boast a large spectrum of sports for their students and are supported by a local community with a serious love of their high school sports. It’s a winning combination that has led to quite the history of athletic success, including Pickerington Central winning the D1 football state championship just last year. While that’s seriously impressive, PLSD’s real priorities lie in the academic success of its students across the district. Sports, it turns out, are an important part of that. 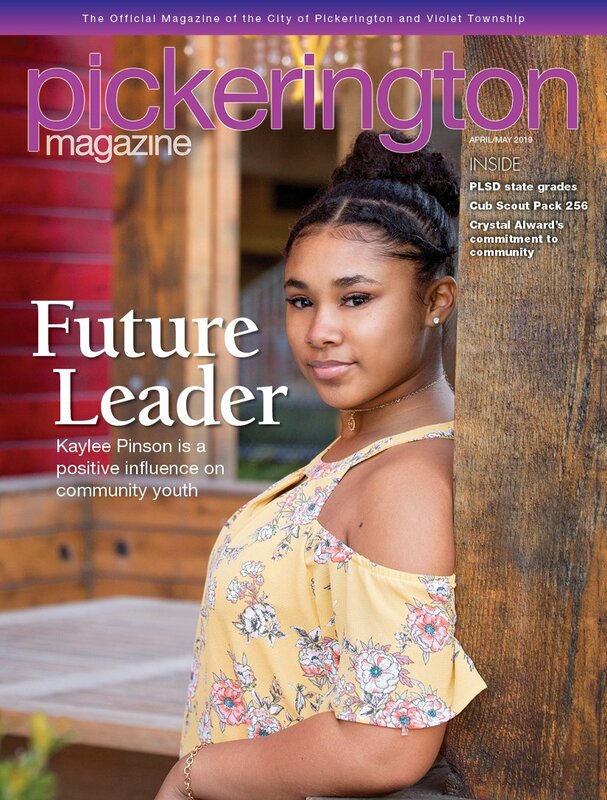 Mirroring the trends shown in research done in high schools across the country, students involved in sports in both Pickerington high schools have consistently higher GPAs on average than their uninvolved peers. In the 2016-2017 school year, student athletes at North averaged a 3.513 GPA and student athletes at Central averaged 3.459 – both highly respectable numbers. When broken down by gender, female high school athletes who attend PLSD have been shown to perform higher academically than their male counterparts. Additionally, a 2015 study comparing GPAs of athletes and non-athletes at a large, midwestern high school (unnamed) with similar demographics to the Pickerington schools, suggested that, in addition to the higher GPAs achieved by student athletes, students involved in organized athletics also have a higher graduation rate. So why do student athletes tend to perform better academically? Intrinsically it doesn’t necessarily feel like a given. After all, hours spent at practice and traveling to games are hours that could be applied to school work. Especially in today’s increasingly competitive academic world, every hour of studying feels like it matters even more. But according to Mark Aprile, director of student activities at PLSD, the intangible skills that student athletes learn in their sports naturally translate to success in school. In addition to time management skills, being involved in a sport teaches many habits and behaviors that are crucial to success both academically and in the real world. Sports teach important interpersonal skills such as collaboration and gracious competition. They give youths a chance to develop and practice leadership skills that, while honed on the field or court, translate to stronger leaders later in life. Student athletes are able to practice many of the skills necessary to thrive inside and out of school early on and in a safe environment. Additionally, there’s eligibility requirements that ensure that high school athletes maintain a certain GPA to participate. In Ohio, that GPA differs by district. According to its 2017-2018 Athletic Handbook, at Pickerington schools student athletes must maintain a 1.75 GPA per grading period. A study by researchers at Cornell University showed that participating in high school sports can even help students down the line, with former high school athletes finding greater success in careers, and showing a positive relationship between high school athletes and their earning potential. The study attributed this correlation partially to the early development of self-confidence, self-respect and leadership skills. For young women this is especially prevalent. A recent report by EY and espnW found that 94 percent of the women they surveyed who held senior management positions played sports. Of female Fortune 500 executives, roughly 80 percent participated in sports as adolescents. Parents who are worried about whether or not their high schooler’s sports are cutting into their valuable study time, might consider the benefits, both intangible and not, of students participating in organized sports. It could very well position them to achieve greater future success. Taylor Woodhouse is a contributing writer. Feedback welcome at feedback@cityscenemediagroup.com.